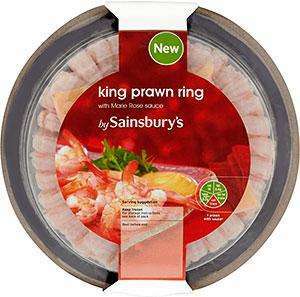 Love a pink prawn ring with sauce in the middle for dipping..
think there is a joke about my king prawn curry last night but not going there!!!!! it would be wise not to go there!! Had these before,the prawns are tasteless. Don't see many supermarkets selling these nowadays, always a christmas favourite in my house. Think iceland and sainsburys are the only places on the high street where u can get them now.